Multicultural Programs for Tweens and Teens by Linda Alexander and Nahyun Kwon was recently published by the American Library Association under YALSA. I had the opportunity to conduct an email interview with Linda regarding the book and the issues it addresses. 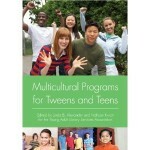 K: Why is multicultural programming at libraries important? LA: It has always been the responsibility of libraries to respond to the needs of all members of our society. Our patron base has always included immigrants and we are probably the most diverse society in the world. Libraries are associated with educating our patron base for self-help, as well as providing for recreational reading for our community, We know that our patron base includes those from other nationalities, races, and religions and we are committed to serving everyone. Since this includes serving our youth, we must respond to the changing demographics in the community and provide pleasure reading and appropriate programming for educating them from an early age and on an ongoing basis as part of the mission of libraries. K: How are the programs designed to help people explore other cultures? 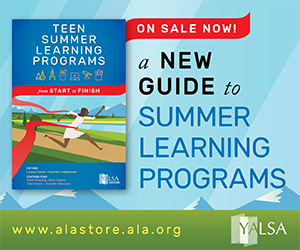 LA: The 20+ programs included in the book are designed so that librarians can choose any program of interest and adapt it to the needs of their teen population in either a school or public library. The format of the book is consistent throughout in that objectives, age relevance, time allotment, cost, bibliographies, activities are listed for each program. Non-fiction, as well as fiction are listed in many instances, and although the books are written in English, some titles include words from other languages. The programs include youth participants from any subculture, so that all may explore and learn about the various cultures, thereby increasing awareness and understanding. K:How did you decide which cultures and programs to include and which not to include? LA:All of the programs were created by students in my â€œMulticultural Literature for Children and Young Adultsâ€ graduate course at USF. We did much editing and reformatting to make the programs read more consistently. Originally, my co-author and I submitted about 40+ of the best programs to the publisher taking into consideration the inclusion of a variety of subcultures. 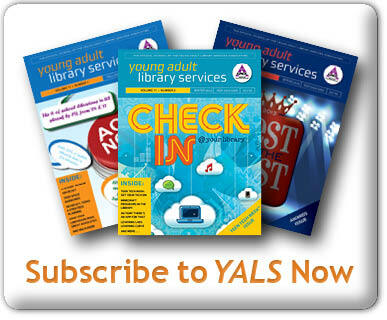 YALSA editorial personal decided we needed to decrease the number of pages in the book thus removing about half of the programs, so we reviewed all programs and left a few from each major subculture in American society. We included a few more from the African American and Hispanic/Latino groups since they are larger subgroups, population- wise. K: If libraries aren’t sure which program to try out in your book, how would you recommend they start? LA: I would suggest they select one from a group more familiar to them or a culture or program that interests them most. Also, if their collection has most of the books in the bibliography, that would be an obvious choice. Another idea might be to start with one where they already have a large target population, and can market to the group easily. K:Many libraries have faced or are facing severe cuts from staff and supplies. 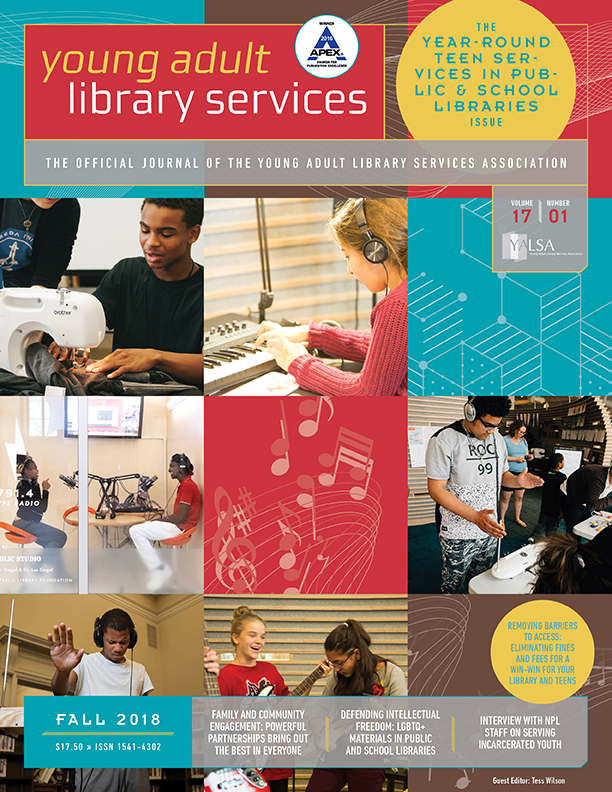 How do your programs address the needs of libraries to do things with less money? LA: Almost all of the programs can be offered using little or no money. Volunteers and parents can be used to provide some of the materials or food. If the library has a â€œkittyâ€ or funds from a Friends of the Library group, this can help. I do not think we can allow lack of money to be an excuse not to offer these programs. 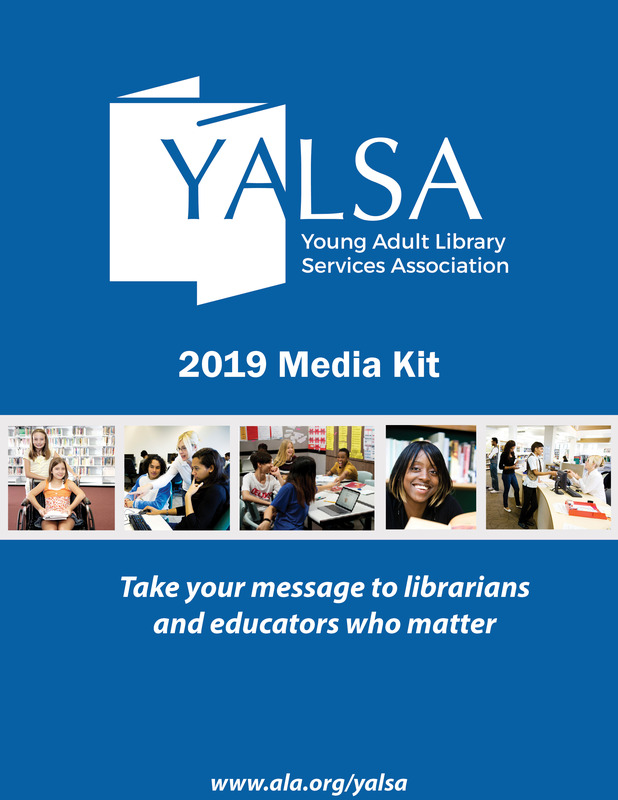 K: Is there a site online or a listserv that you’d recommend librarians sharing their ideas for multicultural programming that have been successful? 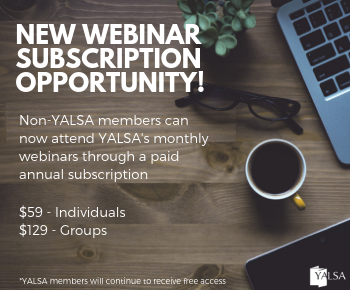 LA: I would recommend YALSA’s online venues to share ideas, since this is programming for YAs. Their resources are the best that I know of. K:Is there anything else you would like to add? LA: I collected the programs from MLS students from about 2005 through 2007, as assignments submitted. I kept telling them I was going to do a book of their programs someday. All of the book contributors are now library professionals in Florida and other states. I hope that having their programs showcased in a book such as this has been a source of pride and empowerment for them. They were excellent students and I am sure they are wonderful and well-prepared professionals in our favorite career field. Programs- The Next Big Thing? Would this book be a good resource for the 2011 CSLP SRP theme, You Are Here (world culture & travel)?